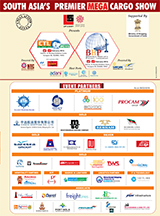 Following the grand success of 8th edition of CTL 2013, port authorities, terminal operators, shipping lines & agents, global freight forwarders, shippers, consignees and entire maritime & logistics fraternity will be meeting back in Mumbai on 18th & 19th February 2016 for the 9th consecutive CTL International Conference focusing on Cargo, Transportation & Logistics. 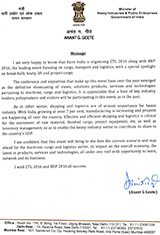 The brainstorming conference will highlight the problems faced by the maritime & logistics industry in India and will focus on important issues like how the high cost of logistics in the country interrupts efficiency especially in times of slowing growth. Among other things the conference will cover ports, regulatory aspects, capacity enhancement, evolving trends and new technologies in logistics worldwide. In particular, the focus will be on how investment in logistics in difficult times like these can present an opportunity not seen elsewhere in the global economy. 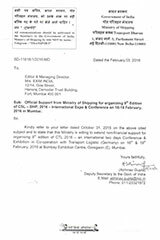 The Conference will rely on an interactive technique in which panelists will answer specific questions and then dialogue with the audience on matters of concern to the logistics industry. So, be a part of highly comprehensive deliberations and grab this unique opportunity to showcase your company at the industry's most important and influential B2B International Conference!